This is a guest post by Ulrike Rodgers, Senior Program Manager at the National Democratic Institute (NDI), Washington, DC. Since early 2015, eleven countries in West Africa have held national elections to choose a new president, often coupled with parliamentary elections. The electoral simultaneity is no coincidence. The end of the Cold War in the early 1990s ushered in political change also in West Africa and many countries began organizing multi-party elections. Their newly minted democratic constitutions often opted for five-year presidential and/or parliamentary mandates and gave preference to a strong presidential role. However, many also limit presidential terms to two mandates, a provision that continues to be a source of national discussion and even popular uprisings, such as in Burkina Faso in 2014, when then-president Blaise Compaoré attempted to change it to be able to remain in office. Twenty-five years after engaging in their democratic transitions, several countries are now taking another look at their constitutional frameworks. As Sophia Moestrup writes, some, like Bénin, Burkina, Côte d’Ivoire, Mali, and Sénégal are seeking to strengthen their democratic institutions, limit presidential powers and reaffirm term limits. Others, like Congo Brazzaville, Rwanda and the Democratic Republic of Congo, appear to be moving in the opposite direction. Bénin recently reaffirmed its position as a regional beacon of democracy when outgoing president Boni Yayi respected the constitutional two-term limit and did not attempt to win a third mandate. Since then, President Patrice Talon – who won the March 2016 election with a promise of “change” against Boni Yayi’s prime minister and heir apparent Lionel Zinsou – followed through on a campaign promise and appointed a 35-member commission to propose political and institutional reforms, including the option of limiting presidential terms to a single seven-year mandate. The commission, chaired by justice minister Joseph Djognénou, submitted its report at the end of June and promptly triggered criticism. Notably, it was accused of wasting public funds after rumors surfaced that each member had received between 10 and 15 million Francs CFA (about $18,000 to $27,000) for one month of work while the government has curtailed spending in other sectors. The report unanimously recommends that the president should no longer appoint Bénin’s chief justice, the chair of the superior council of judges (Conseil supérieur de la magistrature), and the chair of the national audio-visual authority (Haute autorité de l’audiovisuel). It also proposes to augment the number of justices serving on Bénin’s constitutional court from seven to nine, extend their mandate from five to nine years, and to limit the number of justices appointed by the president to one, as opposed to currently three. However, the commission was unable to reach consensus on proposed changes to the presidential term limit, even after it postponed the publication of the report by several days. Members had been asked to examine two options: maintain the current two five-year term limit, or replace it with a single six or seven-year term, the latter openly favored by President Talon. Divided over the issue, the commission returned the ball into the president’s court to decide. President Talon has announced he intends to put the question in front of the Béninese people via referendum before the end of the year. But his proposition may have encountered a sizeable obstacle: Bénin’s constitutional court ruled in October 2011 that presidential term limits could not be changed by way of referendum. The court considered it a violation of the decision of Bénin’s National Conference of February 1990 to declare certain constitutional articles unchangeable, including Article 42, which stipulates a limit of two five-year terms. Nonetheless, while the question surrounding presidential terms may be moot, other proposed reforms, such as setting limits to the president’s influence over the country’s constitutional court, may contribute to strengthening the separation of powers in Bénin and help anchor democratic practices durably in the country’s political DNA. This entry was posted in Africa, Benin and tagged Constitutional Reform, presidential terms, separation of powers on July 13, 2016 by Sophia Moestrup. A number of countries in West Africa are undergoing a constitutional reform process, in pursuit of stronger, democratic institutions: Benin, Burkina Faso, Cote d’Ivoire and Mali. Senegal held a constitutional referendum earlier this year. In stark contrast to recent constitutional changes and ongoing debates in the Central Africa region – Congo Brazzaville, Rwanda and the Democratic Republic of Congo – where focus has been on extending presidential terms, the declared intent of some of these reforms is to build bulwarks against presidential overreach and overstay. The constitutional changes in Burkina Faso, Cote d’Ivoire and Mali follow the violent overturn of democratic processes in all three countries, albeit under very different circumstances. In Benin and Senegal, constitutional reform was a promise of the presidential campaigns of Patrick Talon and Macky Sall, respectively. Constitutional review commissions in Burkina Faso and Cote d’Ivoire are preparing completely new constitutions. A principal concern in Burkina Faso is to find ways to “lock in” presidential term limits and to better balance strong presidential powers. It was former President Blaise Compaoré’s attempt at removing presidential term limits that led to his overthrow in October 2014 in a popular uprising. A 92-member commission representing the ruling party, opposition parties (including the CDP of Compaoré) and civil society (including labor unions and traditional authorities) was seated in early June. Its members have two months to present a new draft constitution. The draft will undergo popular consultations, go to the president for comment and be finalized by the commission before submission to a popular referendum. Opposition parties have demanded, however, that the decisions of the constitutional commission be reached by consensus, threatening to walk out on the process otherwise. In Cote d’Ivoire, President Ouattara appointed a commission of 10 experts at the end of May, giving them a month to make proposals for a new constitution. During the month of June, Ouattara himself undertook consultations with opposition parties, civil society, traditional leaders and others to receive their suggestions before scheduling a referendum to take place before the end of the year. Key expected changes include the introduction of a vice-presidency and the rewording of article 35 which requires a presidential candidate to be born of both parents of Ivorian origin. The constitutional review process is controversial, however. Opposition parties criticize it for being insufficiently participatory, rushed and ill-timed, as the country has yet to fully heal and reconcile after the 2010 election-related violence. In Mali, a 13-member expert commission is charged with proposing revisions to the 1992 constitution to incorporate provisions of the 2015 Algiers peace accord signed between the government of Mali and former rebel groups. The constitutional commission will have six months to complete its job. The 1992 constitution is the consensual product of the 1992 National Conference and is vested with significant popular legitimacy. It is unlikely to be completely scrapped and replaced. The constitutional revision that passed by referendum in Senegal in March of this year shortened presidential terms from seven to five years, and added wording to clarify that “no one can serve more than two consecutive terms” (Art. 27). Other articles were amended to provide for greater oversight by the National Assembly and Constitutional Court, although changes affecting presidential powers are overall fairly minor. In an even more radical move, newly elected President Patrice Talon of Benin has suggested that presidential terms be limited to one single term. A 35-member commission with representation from political parties and civil society was charged with proposing a series of political and institutional reforms. The commission submitted its report on June 28. The report includes two constitutional scenarios – one where the current two five-year terms are maintained, the other where they are replaced by one single six- or seven year term. The commission was divided on the issue, as some members were concerned a single term would not provide sufficient incentives for accountability. The process and focus of these various constitutional reforms vary and reflect different priorities and political realities in each country. Overall, however, the combined picture is one of democratic dynamism that contrasts sharply with the institutional atrophy witnessed in other regions of the continent. This entry was posted in Africa, Benin, Burkina Faso, Côte d’Ivoire, Mali, Senegal and tagged Constitutional Reform, West Africa on July 6, 2016 by Sophia Moestrup. On March 20, Benin’s approximately 4.7 million voters went to the polls for the second time this month to elect a new president. The first round on March 6 had seen a crowded field with 33 candidates. Five candidates were considered frontrunners: Prime Minister Lionel Zinsou, businessmen Patrice Talon and Sébastien Ajavon, former Prime Minister Pascal Irenée Koupaki, and former Minister of Economy Abdoulaye Bio Tchané. Outgoing President Thomas Boni Yayi, in office since 2006, respected Benin’s constitutional two-term limit and did not run for a third five-year mandate. Earlier concerns by the opposition and civil society that he might attempt to change the constitution to run again remained unfounded. After a lively two-week electoral campaign, none of the top five candidates obtained the necessary 50%+1 on March 6 to win in the first round. Prime Minister Zinsou collected 856,080 votes (27.11 percent), followed by Patrice Talon (746,728 votes or 23.52 percent), Sebastien Ajavon with 693,084 votes, Abdoulaye Bio Tchané with 262,389 votes, and Pascal Irénée Koupaki with 177,251 votes. Turnout was 63 percent. Benin’s National Autonomous Electoral Commission (CENA) confirmed that a second round would be held on March 20. Shortly after the proclamation of the results of the first round, Sébastien Ajavon announced his support for Patrice Talon in the run-off as the latter faced off against Lionel Zinsou. Talon was also able to enlist the support of Bio Tchané and Koupaki. Bénin’s voters and media impatiently anticipated the run-off on March 20. The country held its breath after the polling stations closed on Sunday night. In the morning of March 21, the CENA published preliminary results: Patrice Talon leads overwhelmingly with 65.39 percent against Lionel Zinsou with 35.61 percent of the votes. In a historic first, the unsuccessful Zinsou called Patrice Talon during the night from Sunday to Monday — even before the CENA released preliminary numbers — to concede defeat. On Monday, many Beninese citizens reacted publicly with joy and relief over the peaceful conduct of the elections and the perspective of a successful transition. The election confirmed that a majority of Benin’s voters are ready for profound political change and reforms after President Boni Yayi’s 10 years in office. Lionel Zinsou had been appointed prime minister by the outgoing leader in June 2015 and was seen by many as Boni Yayi’s political heir. Zinsou chose the theme of “Continuity” at the center of his electoral campaign, in stark contrast to Patrice Talon. The successful self-made millionaire and businessman campaigned on the motto of “Change” (Rupture) and has vowed to step down after a single five-year mandate. Both rounds of the election were observed by a consortium of domestic civil society groups, the Plateforme (www.vote229.org), which deployed some 3350 observers to polling stations country-wide and operated a data collection center (‘Situation Room’) at the Marina Hotel in Cotonou with support from the United Nations Development Program (UNDP), Open Society Initiative West Africa (OSIWA), and other donors. In its preliminary post-election declaration of March 21, the Plateforme commended the CENA, voters and candidates on the overall success and peacefulness of the elections, but also pointed to insufficiencies, such as delayed openings of many of the 13,501 polling stations, the delayed and incomplete distribution of voter cards, isolated cases of ballot stuffing, attempted votes by minors, and vote buying. The Plateforme also noted the positive impact of the presence of representatives of the constitutional court who, for the first time, observed proceedings, and of domestic and international election observers on the overall election climate. Benin’s incoming president will have to swiftly address a number of economic and social challenges that have shaken the country during the final years of Boni Yayi’s presidency. The country has been hit by economic scandals including its own “Madoff” pyramid investment scheme that defrauded Beninese citizens of 150 million Euro. Last year, the country was paralyzed by a four-month general strike. The next president will have to hit the ground running and institute credible reforms fast to instill confidence in economic recovery and social justice. If the CENA confirms the preliminary results, Patrice Talon – who has pledged to step down after a single term — has an ambitious calendar ahead of him. This entry was posted in Africa, Benin and tagged Benin, presidential election on March 25, 2016 by Sophia Moestrup. Benin – Who will benefit from the local polls? Long-delayed local polls finally took place in Benin on Sunday, June 28th. Elections for municipal, communal and village level offices that should have taken place in 2013 were delayed by two years due to issues with the electronic voter registry. In the running for Sunday’s elections were candidates from 34 parties, competing for the 1,199 municipal and city councilor seats. The councilors will, in turn, elect 77 mayors, 176 deputy mayors and 546 district leaders. Election day was mostly calm, with low voter turn-out under heavy rains in the southern part of the country. Challenges in the distribution of voter cards and a lackluster campaign may also have contributed to lowering voter enthusiasm. Given the timing of these elections – eight months ahead of the February 28, 2016 presidential poll – the outcome is closely watched as a bellwether of the support for different political party candidates in the next presidential contest. President Boni Yayi is coming to the end of his second term and cannot stand for reelection. Who the candidate of the ruling coalition, Forces cauris pour un Bénin émergent (FCBE), will be for his succession remains unclear. Boni Yayi himself has refrained thus far from anointing an heir apparent. Legislative elections held on April 26, 2015 indicated a loss of support for the ruling coalition. The polls left the FCBE with a relative majority in the National Assembly with 33 out of 83 seats, but down from 41 seats in the last legislature. Even with the two seats of its ally, l’Union pour le Benin (UB), the ruling coalition does no longer control an absolute majority and the position of Speaker went to an opposition leader, Adrien Houngbédji, president of le Parti du renouveau démocratique (PRD). Houngbédji ran for president in 2011 and won 36 percent of the vote against Yayi who was reelected in the first round with 53 percent. The PRD is the third largest party in parliament, with 10 seats, the two other major opposition parties being the Union fait la Nation (UN) with 13 seats, and the RB-PB alliance with 7 seats. Six smaller parties share the remainder of the seats. Final results from the local polls are yet to be declared by the Autonomous National Election Commission (CENA). Preliminary results from the major cities indicate that the PRD has won the majority of seats in Porto-Novo, the political capital, and is likely to keep its mayor there. In Cotonou, the economic capital, no clear winner is emerging, with the FCBE coming in fourth after the UN, the PRD and the RB. The results of the local polls will give a strong indication of the relative strength of the various parties at the grass roots level. 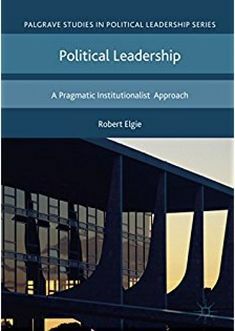 Should the negative trend from the legislative polls continue and the FCBE lose its current majority of mayor positions, the outcome of the local elections could influence political alliances at the national level in the lead-up to the presidential race. A loss of majority could lead to fractures within the FCBE as stalwarts within the party could chose to throw their lot with another alliance. It remains to be seen who the opposition front runner will be. Houngbédji of the PRD has reached the presidential candidate age limit of 70 years. With the political field wide open, the comings months will be of great interest to observers of the Beninese political scene. This entry was posted in Africa, Benin and tagged alliances, Benin, presidential election on July 2, 2015 by Sophia Moestrup. Not all is well in Benin. The country is rapidly losing its status as an exemplary democracy in West Africa. Socio-economic turmoil, increasing corruption and mounting opposition to the president’s suspected desires for a third term have rocked an otherwise stable nascent democracy. Recently, a nearly four-month general strike threatened the school year. Four of six unions involved lifted their participation in the strike on April 15, following partial satisfaction of their demands, but maintain their call for the departure of the prefect and the police chief of Cotonou. The two officials are seen as responsible for the violent repression of a December 27, 2013 march demanding better governance and the respect of democratic freedoms. Since Yayi took power in 2006, the country has been hit by a series of economic scandals, including its own “Madoff” pyramid investment scheme that defrauded Beninese citizens of 150 million Euro. At the end of December 2013, the United States removed Benin from the list of countries eligible for funding from the Millennium Challenge Account, citing increasing levels of corruption. Reelected in 2011, Boni Yayi has surrounded himself with family members and members of the Pentecostal church of which he is a fervent devotee. Three of his children serve in the presidency, and his wife’s older brother is Minister of Development, while the Ministers of Justice, of Labor and of the Environment are members of evangelist churches. Family members are not necessarily above all suspicion, as demonstrated by the bizarre alleged attempt by the president’s niece, his family doctor and a former financial sponsor to poison Yayi, in 2012. The niece, the family doctor and the head of the presidential security guard are all in prison, while the business man and former presidential financier, Patrice Talon, has taken refuge in France. As he approaches the end of his second term in April 2016, his opponents suspect President Yayi of wanting to change the constitution to stay on for another term. A constitutional revision introduced by the government in June 2013, though not touching the two-term presidential term limit, was seen as intended to reset the term clock, by initiating a new republic and thus allowing the president to run for office again under the new constitution. In September 2013, the law committee of the National Assembly (which includes members of Yayi’s party) declared the proposed revisions inadmissible, with reference to procedural irregularities. The bipartisan rejection of the amended constitution is an indication of Yayi’s eroding political support. Benin has thus far remained on the democratic path since its February 1990 ‘national conference’ which transitioned the country to multi-party democracy and initiated a wave of such conferences in Francophone Africa, modeled on the French États Généraux held in 1789 on the eve of the French revolution. Hopefully, Benin will again set the example by resisting pressure for doing away with presidential term limits, at a time when countries such as Burkina Faso, Burundi and the Democratic Republic of Congo (DRC) seem to be headed down that path. This entry was posted in Africa, Benin and tagged Africa, Benin, Boni Yayi, Constitution, president, third term limit on April 21, 2014 by Sophia Moestrup.